Going on a weekend trip, vacation, or spending time at Grandma's house? Kids can pack their On-the-Go DVD pack for a special treat. 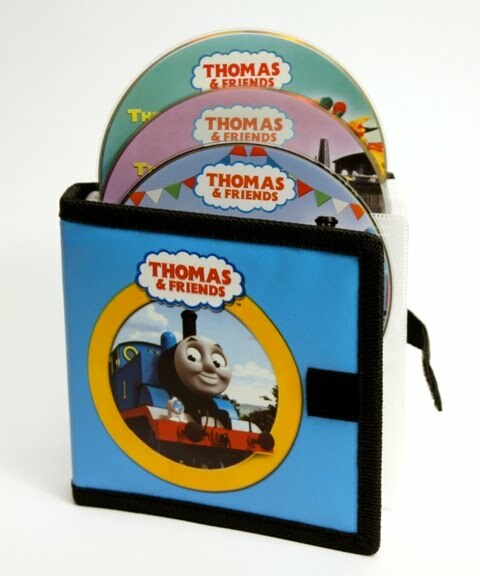 Each On-the-Go pack has three DVD's. 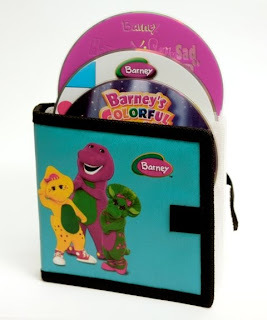 Barney's On-the-Go pack consists of these three dvd's: Red, Yellow and Blue, Barney's Colorful World! Live!, and Happy Mad Silly Sad. Sing and dance through a color-filled day of learning as Barney and his friends search for red, yellow and blue objects in a celebrations of primary colors. With Barney, this celebration of colors is primarily fun! consists of these three dvd's: Trust Thomas, Hooray For Thomas, and Thomas, Percy & the Dragon. Take a journey to the magical Island of Sodor, where fun and adventure lie around every bend, Watch Toby as he trades in his branch line for a tightrope, and help the engines replant Henry's favorite forest after a devastating storm. Join your friend Thomas on what he says will be a fun and exciting trip - an like the title says, you can always "Trust Thomas." *Special features: Character Gallery, Sing-Along, Bonus DVD Game: "Sir Topham Hatt's Word fun. Running time: approximate 40 minutes. You're invited to a celebration on the Island of Sodor! Watch as Thomas wins a medal for saving the day, children get a fun ride on the tracks, Edward rescues a brass band, and more! Let the celebration begin! On the Island of Sodor even the bravest of engines have exciting challenges. Take Percy - he said that he's ready for anything! Help Tomas use the carnival Chinese Dragon to give Percy his greatest challenge yet. Hop aboard for the next journey through the magical Island of Sodor! *Special Features: Character Gallery, Read-Along, Sing-Along, Bonus DVD Game "Paint My Color."